For more than thirty years, Keller Homes has designed and crafted more than 4000 new homes in Colorado Springs. We're part of the local landscape, and the fabric of our community here. Over the decades, we've seen multiple generations raise their families in a series of Keller homes, and this loyalty makes us both proud and humble. What makes a Keller home different, and better is all in the details. Tour our new homes and you'll see how they deliver a beautiful sense of style and place. You'll also appreciate how we've integrated the most energy efficient products and practices to ensure that your new Keller home lives comfortably and sustainably for generations to come. Unlike other home builders, GJ Gardner Homes Falco brings flexibility to the design process. If your clients already have a design in mind, we’ll get the blueprints started! 'We Stand Apart.' This is Covington Homes. Doing the Right Things the Right way- that is who we are. Creating a Better way of Living – that is what we do. Covington Homes is a local and family owned business committed to Creating Community. The Covington Team continues to bring beautiful and exceptionally well-built homes and communities to Colorado Springs and El Paso County with the hard work and dedication of our award-winning Team. As a result, our homes stand the test of time. At Covington Homes we are focused on creating community. We are known as the Builder with the highest level of customer care that can be found. 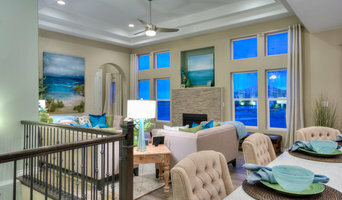 Our homes are well thought out, fully planned, and exceptionally executed. Covington Homes is currently building in D20 at Flying Horse and Wolf Ranch, and in D49 at Banning Lewis Ranch with upcoming communities in Falcon and Monument. Come and visit one of our Beautiful Communities or visit us online. We give you the room; that perfect space, where lasting memories are created. Garden of the Gods Homes, creating spaces you love to live in. 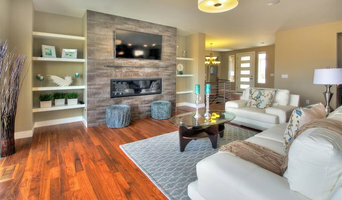 Elk Ridge Custom Homes is a company built on honesty, integrity, and unmatched quality. We love keeping up with the latest in building products, practices, and designs to give our clients the highest quality and most beautiful home possible. We believe in true collaboration with our clients, so every home we build is truly one of a kind. From concept and design to completion, we are always listening to the needs and desires of our clients. We believe that trust is only earned by being completely transparent and honest with our clients, so we go to great lengths to communicate well and often so that they always know exactly how we are handling their project and money. We also fully understand that construction projects can be stressful so we make it our personal challenge to make every project as fun and stress-free as possible for our clients. Our goal in every project is to absolutely exceed our client's expectations... and that is what we do. Pioneer West Homes specializes in designing and building highly energy-efficient custom homes. We have proven ourselves as the leader in combining quality craftsmanship with innovative designs. Haley Custom Homes is a boutique custom builder, specializing in high-end custom-homes and remodels in the Denver Metro Area and Aspen. We intentionally build only three to five houses per year. In all our years of building luxury homes, we’ve become known for the quality of our work and attention to detail. As members of CBUSA, we’ve banded with other boutique builders throughout the U.S. to form a builder purchasing group. Because of the purchasing power of our group, we are able to command deep discount prices that a stand-alone custom home builder is unable to achieve. For years, we’ve been involved in the green building industry, receiving training and certifications, working with energy consultants, and pushing the envelope of energy efficiency with each custom home we build. Today, Haley Custom Homes receive the Energy Star recognition from the EPA. Owner Dan Fuller has been active in the Colorado real estate market since 1991. He began by purchasing homes, stripping the insides, adding square feet, and flipping the houses for profit. In 1996, he started to buy homes, tear them down, and build new homes on the property. The luxury custom homes he has built since 2002 have ranged from 4,500 square feet to 20,000 square feet. Dan Fuller lives in Greenwood Village, Colorado. Our home remodel projects start at $300,000+ and our custom home projects start at $2,000,000+ with a minimum project size 5,000 sq ft. Please contact us for more information. Celebrating over 50 years of building new homes in Colorado Springs with brand new model homes and homesites in Monument, Cordera, and Meridian Ranch! At Hallmark Custom Homes, LLC our goal is the development and completion of top quality projects delivered with unsurpassed professionalism and a passion for balancing customer expectations with mutually beneficial subcontractor relationships. We believe that all projects should be customized to the vision and dreams of the client/customer. Embracing the customer vision and supporting it with a team of design and construction experts leads to a refined development plan to deliver maximum value in a truly distinctive home. Understanding the customer’s lifestyle and incorporating their ideas into the design is a key component of the process. From start to finish, outside to inside, the overall design and integration, and the appropriate use and complement of materials, colors and finish is paramount to the delivery of our customers dream home. Hallmark Custom Homes, LLC, mission is to help you create functional, aesthetically pleasing, customized projects that incorporate the elements most important to you. No matter your budget, we'll work with you to design and implement home projects that exceed your expectations. Our team of designers, architects and subcontractors are equipped to handle a wide variety of projects, including: •Design/build services for custom home construction •Customized home remodeling, additions and updates •Basement finish and renovation •Kitchen remodeling •Bath Remodeling Whatever the size or scope of your project we are dedicated to making it a positive experience. Get started on your dream today with a call to the professionals at Hallmark Custom Homes, LLC. From features to materials to colors, INNOVATIVE specializes in working one on one with you to craft and perfect the home you've always imagined. All About Home Design is an award-winning custom home building company based in Colorado Springs, Colorado. Scott Maynes and Karen Jones are a brother-sister team with decades of combined experience both designing and building custom and luxury homes. With us, you get style, quality & the assurance of premium materials, service & support--combined to give you the ultimate home-buying experience. Isn't it time you held the keys to your dream home? Gray Construction is a family owned building firm that has been operating in Colorado since 1975. Led by founder and President Ken Gray, our commitment is making the dreams of our clients a reality through one-of-a-kind site specific designs, transparency and custom satisfaction. Gray Construction’s award winning homes stretch from the Colorado Mountain Resort towns, with the majority in the Metro Denver area. Having built over 200 custom homes in 45 years and never building the same home twice, Gray Construction is committed to having each feature of a client’s home customized to their wants, needs and individual lifestyle. Whether working with our in-house design team or working with other designers and architects, it is the goal of Gray Construction to produce a one-of-a-kind project. The client, through Gray Construction’s team can create and produce the project that they desire, with a full understanding of its’ cost. Gray Construction offers a hands on approach; being personally involved with the design through on site supervision of the building process to guarantee the quality the client deserves. We’ve been building new homes in Colorado Springs, Monument and Black Forest since 1991. Locally-owned, we make our homes in our communities. Legacy Design & Construction is a unique Residential Design-Build firm that specializes in building high-end custom homes. Michael Perez, Architect & Builder, has been designing and building all his life and first combined professional architecture and home building in 1997. As a small company, we give customers the opportunity to work directly with a highly experienced Architect-Builder from conceptual design to doorstep. 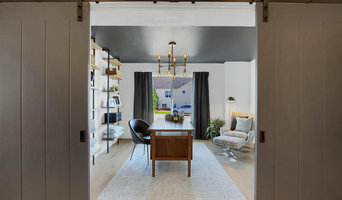 One of the biggest benefits of working with a design-build company is that the home design can be worked out simultaneously with a pre-specified budget and be custom designed to meet your family’s needs. Working with Legacy is easy. Even if you have plans already, Legacy can help you establish your home’s budget, perform value engineering as needed and help select your finishes, to get the best home and building value for your investment. We're passionate about delivering an exceptional building experience. When you hire us, you're hiring a team of professionals who are trained and skilled to deliver lasting value to your home. Known for innovative design, quality craftsmanship and fine finishes, Tiffany Homes continually exceeds its own high standards. "Our mission is to meet your specifications and surpass your expectations." Tiffany Homes does this by carefully listening to the homeowners, involving the clients throughout the building process, and translating all of that into the ultimate living environment. Steve and Tiffany are passionate about providing homes of distinction and are committed to fulfilling their clients' needs and requirements. They offer a variety of select plans and welcome their clients' modifications, creating the home of their dreams. A Focus on Innovation and Quality. Any construction company can build a house, but being able to visualize and craft your unique ideas requires innovation. From features to materials to colors, INNOVATIVE specializes in working one on one with you to craft and perfect the home you've always imagined. With over 30 years in the industry, Brad Fallentine leads an expert team of artisans ready to work with you. Everyone imagines the perfect home for their family, one that is uniquely designed to fit their lifestyle. Now, you can build it. Contact us today to learn more. You Dream It. We Build It. For more than 30 years, Timber Ridge Properties has maintained a reputation for being one of the finest custom home builders in Denver. What has kept us at the top? Our award-winning luxury homes are built with a highly personal, boutique approach. There are no limits. Our full-service team—with their broad-based knowledge of construction, design, architecture, finance, and real estate—is relentless in our pursuit of excellence at every turn. We create an uncompromising reflection of YOUR vision. The finished home is nothing short of perfect, and the relationships are life-long. “When you want the Neiman Marcus of home building, hire Timber Ridge Properties. There is no equal. They make a perfect product!” ~ Homeowner. Welcome to the Timber Ridge Properties Family. **Custom Homes start at $1M. Custom Remodels start at $250,000. Justin received his Bachelor of Science degree in Construction Management from Michigan State University in 1999. After that, he started his career working for Pulte Homes of Michigan (NYSE: PHM) as a Construction Superintendent. After a few years of building houses, he was promoted to Purchasing Manager for the division. Soon after, the company gave him the opportunity to take on more responsibility and he moved to Colorado. After six years with Pulte, Justin decided to take a job at MDC Holdings (NYSE: MDC) in National Purchasing. During that time he was in charge of estimating and takeoffs, negotiating national contracts with vendors, and helped with purchasing operations in multiple markets. Justin worked for two production home builders for a total of 14 years. In that time, he learned the importance of understanding house costs, subcontractor relationships, building practices across multiple divisions, and what homebuyers are looking for in a homebuilder. In 2013 he built his first fully custom home as Universal Design & Construction, LLC. Justin's excellent project management skills and over-riding concern for his clients has allowed him to build a core crew of tradesman and craftsmen that share those standards. Universal Design and Construction, LLC allows each buyer to plan their dream house from the beginning and work with the builder personally through the process. Our mission at Crosswood Homes, Inc. is to design and construct stunningly sound and beautiful homes in the majestic Colorado landscape in which we feel blessed to live and doing this all through an informative and honest process that is enjoyable for everyone involved. Copperleaf Homes is dedicated to delivering the best, most satisfying home building experience possible. We continually strive to perfect our process of building custom homes efficiently-from our lowest to highest price points, from the $500's to the millions. At the core of this process is a commitment to the highest level of quality. Simply put, we partner with you in anticipating your every need and helping you express your every desire. In summary, as the area's largest custom homebuilder, we have a longstanding track record of excellence, customer satisfaction and success. We are passionate about enhancing our clients' lives, fulfilling their aspirations and, most importantly, continually producing the unwavering trust for which we are known. We are a 2nd generation family custom home building company with more than 40 years experience building new homes in Castle Rock, the Denver market and surrounding communities. We are dedicated to addressing 21st century conditions through intelligent architecture, authentic design and building practices. We consider ourselves a small-volume, boutique, luxury custom home builder. We have a true passion for building sustainable, smaller footprint, comfortable, one-of-a-kind luxury custom homes, on unique building sites, with modern features throughout the greater Douglas County area including Castle Rock, Sedalia, Larkspur, and Parker, Colorado. We choose projects that are fun, exciting, innovative, and incorporate great design. We understand that creative design coupled with exceptional craftsmanship comes from the heart. Without great design and craftsmanship, there is no reason for us to build. What’s the most important step in building a new house from the ground up? Many people would say it’s choosing the right Cascade-Chipita Park home builder. Constructing a new house is a huge and multifaceted undertaking, so it’s important to find custom home builders in Cascade-Chipita Park, CO you can trust to bring your vision to life, as well as keep the process under control from start to finish. Although a construction job is never without surprises and challenges, a Cascade-Chipita Park, CO home builder who’s a good fit for your specific project will make these far easier to handle. For Cascade-Chipita Park residential home builders who also act as developers, the job starts well before the first nail is driven. They perform local market research to determine whether the prospective homesites make sense in the Cascade-Chipita Park, CO market, as well as survey the land on which the house will be built to make sure it is suitable for construction. Custom builders also obtain the necessary permits. 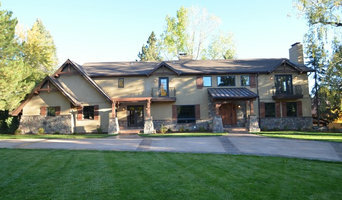 A good custom home builder in Cascade-Chipita Park, CO has skills that go far beyond construction — he or she must supervise subcontractors and artisans; keep tabs on local zoning regulations, building codes and other legalities; inspect work for problems along the way; and perform dozens of other roles that are essential in building a quality house. Here are some related professionals and vendors to complement the work of home builders: Interior Designers & Decorators, Landscape Architects & Landscape Designers, Architects & Building Designers, Kitchen & Bath Designers, Specialty Contractors. House builders are responsible for ensuring that the home-building project sticks as closely as possible to the specified timetable, particularly in the event of change orders. Custom and luxury home builders in Cascade-Chipita Park, CO also need interpersonal skills to deal with clients of all types, soothe frazzled nerves, negotiate conflicts and resolve problems. Find custom home builders in Cascade-Chipita Park, CO on Houzz. Narrow your search in the Professionals section of the website to Cascade-Chipita Park, CO home builders. You can also look through Cascade-Chipita Park, CO photos to find a house you like, then contact the builder who worked on it.